Jacket worn by militia units and some regular infantry units. 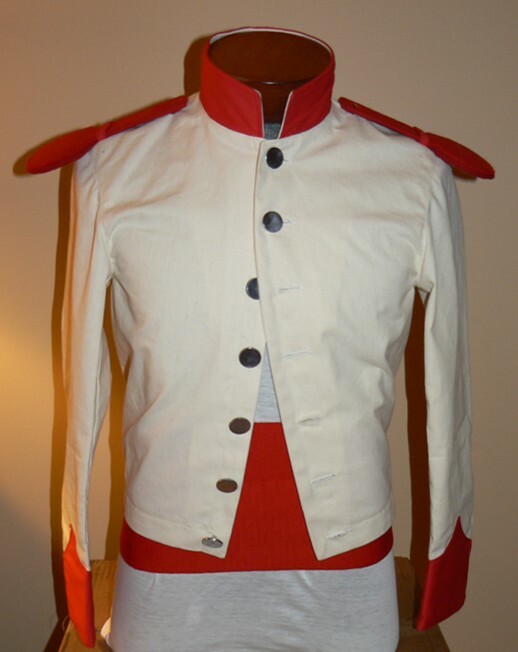 Worn by militia units and some regular infantry units, the jacket has one inside pocket, a short collar and a nine-button front. Trim is not included. This item is individually made in the U.S. for each order. Please allow 8 to 10 weeks for delivery.